I've waited for this time for the last four years. I been holding my breathe in anticipation, well not really holding my breathe- that's impossible, but I am very excited because tonight the US Men's National Team kicked off its tenure in the 2014 World Cup. And they won! Yes, they're in the "Group of Death," also known as Group G, with Ghana, Portugal and Germany but I'm still hopeful that they'll pull off an upset and advance out of bracket play. And even if the critics are correct and we don't move on, I'm still excited. I'm excited that more than half the world's population is tuned in to watch soccer. That people (at least in the US) pretend for about a month, to care about a sport I've played and watched for over 25 years. I'm just excited. And I want you to share in on my excitement. I shared some pics of the Men of the World (Cup) so now that I have you're interest I'll teach you some of the basic terminology (so you look good in front of your boyfriend/husband). Corner Kick: Another type of direct kick. A corner kick happens when the defensive team kicks the ball over their own end line. The ball is placed in the corner of the field. Goal: What happens when the ball goes in the net. It equals one point. The team with the most goals win. Like when the US plays Ghana in the World Cup and scores 2 goals and Ghana only scores one, the US wins (duh). Need to know more? Feel free to reach out and ask and stay tuned for some more soccer fun facts throughout the World Cup. Finally, in celebration of the World Cup you can get any ad space for 40% off with code: TeamUSA. Thanks for this little explanation! 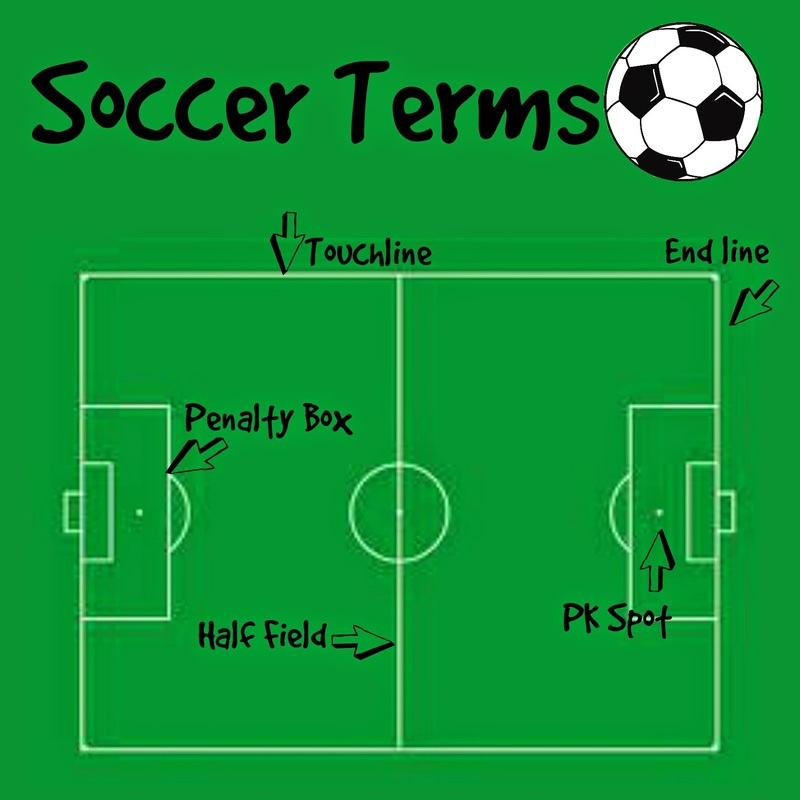 I probably need to learn all this stuff before my son starts playing soccer, huh? Ha just let me know if you have any questions - I'm always happy to help!